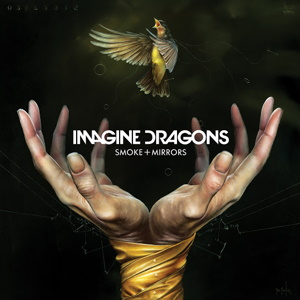 The Official Albums Chart is a list of albums ranked by physical and digital sales and (from March 2015) audio streaming  in the United Kingdom. It was published for the first time on 22 July 1956 and is compiled every week by the Official Charts Company (OCC) on Fridays (previously Sundays). It is broadcast on BBC Radio 1 (top 5) and published in Music Week magazine (top 75), and on the OCC website (top 100). 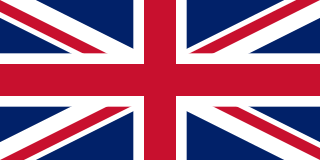 The UK Compilation Chart is a record chart based on sales of multi artist compilation albums in the United Kingdom. It is compiled weekly by the Official Charts Company (OCC), and each week's Top 40 is published online on the official websites of the OCC, BBC Radio 1 and MTV, and in the magazines Music Week and UKChartsPlus. According to the canon of the OCC, the official British albums chart was the Melody Maker chart from 8 November 1958 to March 1960 (although the Record Mirror published charts from 22 July 1956  ); the Record Retailer chart from 1960 to 1969; and the Official Albums Chart from 1969 on. In the 1970s the new album chart was revealed at 12:45 pm on Thursdays on BBC Radio 1, and then moved to 6:05 pm (later 6:30 pm) on Wednesday evenings during the Peter Powell and Bruno Brookes shows. In October 1987 it moved to Monday lunchtimes, during the Gary Davies show, and from April to October 1993 it briefly had its show from 7:00–8:00 pm on Sunday evenings, introduced by Lynn Parsons. Since October 1993 it has been included in The Official Chart show from 4:00 – 5:45 pm on Fridays (previously from 4:00 – 7:00 pm on Sundays). A weekly 'Album Chart' show was licensed out to BBC Radio 2 and presented by Simon Mayo, until it ended on 2 April 2007. The first number one album of the UK Albums Chart was Songs for Swingin' Lovers! by Frank Sinatra on 22 July 1956. As of the week ending date 18 April 2019, the UK Albums Chart has had 1156 different number-one albums. The current number-one album is When We All Fall Asleep, Where Do We Go? by Billie Eilish. Songs for Swingin' Lovers! is the tenth album by American singer Frank Sinatra and his fourth for Capitol Records. It was arranged by Nelson Riddle and released in March 1956 on LP and January 1987 on CD. It was the first album ever to top the UK Albums Chart. 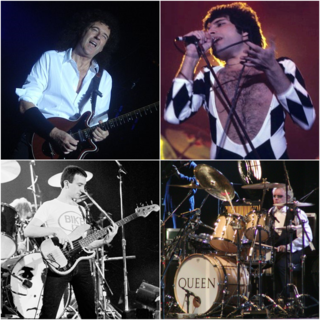 Queen's Greatest Hits is the best-selling album in UK chart history with six million copies sold as of February 2014. Previous first-place holder The Beatles' Sgt. Pepper's Lonely Hearts Club Band is now in third-place after being supplanted by Queen and then by ABBA's Gold: Greatest Hits . Both albums have sold in excess of 5.1 million copies. The longest running number one album, both consecutively and non-consecutively, is the soundtrack of the film South Pacific . It had a consecutive run of 70 weeks from November 1958 to March 1960, and had further runs at the top in 1960 and 1961, making a non-consecutive total of 115 weeks. The youngest artist to top the chart is Neil Reid, whose debut album topped the chart in 1972 when he was only 12 years old. The oldest living artist to top the charts is Vera Lynn at the age of 92 with We'll Meet Again: The Very Best of Vera Lynn , released in 2009 (though the album only contains material she recorded between 1936 and 1959). Lynn also holds the record for the oldest living artist to have a chart album, with the 2017 release of Vera Lynn 100 , released to mark her 100th birthday (though again, this only contains material she recorded decades earlier). The album peaked at number 3. In 1980, Kate Bush became the first British female artist to have a number-one album in the UK with Never for Ever , as well as being the first album by any female solo artist to enter the chart at number 1. In August 2014 she became the first female artist to have eight albums in the Official UK Top 40 Albums Chart simultaneously, (altogether she had eleven albums in the Top 50 in one week). She is currently in fourth place for artists having the most simultaneous UK Top 40 albums, behind Elvis Presley and David Bowie who both tie for the most simultaneous Top 40 albums (twelve each, both immediately following their deaths in 1977 and 2016 respectively),  and The Beatles who had eleven in 2009 when remastered versions of their albums were released. The X Factor 's 2006 runner-up, Ray Quinn, is the only solo artist to top the album chart without ever releasing a single, though Led Zeppelin achieved eight consecutive number-one albums from 1970 to 1979 without releasing a single in the UK until 1997. The Rolling Stones have reached number one in the album chart with new studio albums during five different decades (1960s, 1970s, 1980s, 1990s and 2010s). In the 2000s, they failed by the narrowest of margins to reach the top in 2005 with A Bigger Bang , which was the best-selling album of the week in the UK. ABBA have reached the top spot in four consecutive decades, though this was with the same album ( Gold ) in the 1990s and the 2000s. 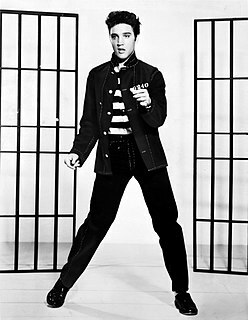 For solo artists, Elvis Presley has scored UK number-one albums in five different decades (the 1950s, 1960s, 1970s, 2000s and 2010s). In 1993, Cliff Richard became the first male solo artist to score UK number-one albums in four consecutive decades (the 1960s, 1970s, 1980s and 1990s). In 2010, Kylie Minogue became the first female solo artist to have UK number-one albums in four consecutive decades (the 1980s, 1990s, 2000s and 2010s). The longest number one by a group is Simon and Garfunkel's Bridge Over Troubled Water which was number one for 33 weeks (13 of which were consecutive). The longest consecutive number one by a group was the Beatles' Please Please Me , which held the top spot for a straight 30 weeks. The longest number one by a male solo artist was Elvis Presley with G.I. Blues which stayed at the top for 22 weeks (his Blue Hawaii album was also the longest consecutive number one album for a male artist with 17 weeks). Adele's album 21 has the most weeks at number one by a female solo artist (and by a solo artist of either gender) with 23 weeks, 11 of which were consecutive (which is also a record for a female artist). This is a summary of the year 2014 in British music charts. The UK Album Downloads Chart is compiled by the Official Charts Company (OCC) on behalf of the music industry. Since July 2015, the chart week runs from Friday to Thursday, with the chart date given as the following Thursday. The chart was introduced in April 2006 to coincide with the OCC's decision to include sales of album downloads in the UK Albums Chart. The first album to top the download chart was This New Day by Embrace. 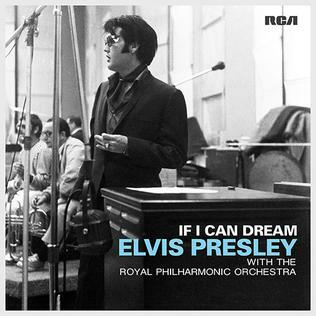 If I Can Dream is a compilation album by American singer Elvis Presley. It was released on October 30, 2015 by RCA Records and Legacy Recordings. 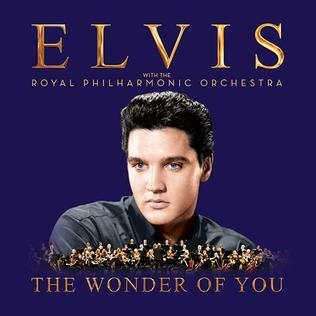 The album features archival vocal recordings of Elvis accompanied by new orchestral arrangements by the Royal Philharmonic Orchestra. It also features duets with Canadian singer Michael Bublé and Italian trio Il Volo. If I Can Dream was recorded at Abbey Road Studios in London, England, and it was produced by Nick Patrick and Don Reedman. 1 2 "UK's Official Albums Chart to include streaming data for the first time". Official Charts Company . Retrieved 12 February 2015. ↑ "Rules for Chart Eligibility: Albums" (PDF). Official Charts Company. 1 March 2015. Retrieved 3 November 2015. ↑ "Blunt boosts record labels' 2005". BBC. 6 January 2008. ↑ Jones, Alan (1 March 2015). "Sam Smith tops first streaming integrated UK Albums Chart". Music Week . Intent Media. Retrieved 12 November 2015. ↑ "Queen top UK album charts league". BBC. 4 July 2005. Retrieved 27 October 2008. ↑ "The Beatles". Officialcharts.com. Retrieved 2016-04-11. ↑ "Elvis Presley". Officialcharts.com. Retrieved 2016-04-11. ↑ "Madonna". Officialcharts.com. Retrieved 2016-04-11. ↑ "Adele". Officialcharts.com. Retrieved 2016-04-11. ↑ "Queen reach six million album sales in UK". BBC. 11 February 2014. Retrieved 14 February 2014. ↑ "ABBA overtake The Beatles to score UK's second biggest selling album". Official Charts Company . Retrieved 2016-04-11. ↑ "Eminem surpasses Led Zeppelin and ABBA to claim the most consecutive Number 1s in Official Albums Chart history with Kamikaze". Official Charts Company. September 7, 2018. Retrieved September 7, 2018. ↑ "Record Breakers and Trivia: Albums". everyhit.co.uk. Retrieved 5 January 2008. ↑ "Kate Bush sets new Official Chart record". Officialcharts.com. Retrieved 2016-04-11. ↑ "David Bowie matches Elvis Presley's Official Albums Chart record". Officialcharts.com. Retrieved 2016-04-11. ↑ "Adele's '25' becomes UK's fastest selling album of all time with sales of over 800,000". NME.com. ↑ "Madonna breaks earnings record". BBC Online . 29 September 2006. Retrieved 19 March 2016. ↑ Morgan Britton, Luke (1 March 2016). "Craig David recreates iconic 'Born to Do It' album artwork with Instagram post". NME . Retrieved 19 March 2016. ↑ Myers, Justin (3 September 2015). "Sam Smith's In the Lonely Hour breaks Official Charts record". Official Charts Company. Retrieved 19 March 2016.